Pre Tryout Advice - Pro Ambitions Hockey, Inc.
drink five glasses of water a day. This seems easy but is hard and will be a difference maker in how you feel. Shoot 50 pucks a day with a purpose-shoot to score in the garage or basement. Watch an NHL game every day until try outs and focus on your positional player. If you’re a forward watch and study him intently. Make a list of Your Responsibilities on The Ice. I did this throughout my own career and read “ My List” before every game. I kept “My List” in my wallet. I still have it. My article called “My List” has been published numerous times in many sports publications. I will send out this article to everyone next week. Choose a motivational mantra. Mine throughout my professional career that I chose with Dr. Fred Neff the Bruins sports psychologist was “ Move Mountain” I will also send out my article called “ Move Mountain” next week. I would repeat this over and over in my head on the bench. “ Move Mountain” was said A LOT in my head during The Pittsburgh Penguins Rookie Camp when I had no contract, then as I moved into the regular Pitt Camp. Again I had never been to a training camp in my life without a contract. The odds were 100% stacked against me. That was the year I made the team and signed a 3 year NHL one way contract. Get there early / skates sharpened, stick taped ready to go so you can mentally focus on task at hand. Put bag in car early, don’t be rushed, plan your meals according to the try out times. Plan everything out in advance with your parents so there is no added stress. Moms and Dads check the bags to make sure everything is in there and clean and dry. Do what you do well. Think about what you do well in the locker room with your headphones on, listen to that playlist that you made and will pump you up and call it Try Outs 2017. Listen to it a lot in preparation for try outs and envision how you want to perform in try outs. Be the hardest worker on the ice-finish all drills to the end, what I MEAN BY THAT IS…If you are instructed to sprint blue line to blue line, sprint all the way back to the blue line. Most kids ¾ of the way back to the second blue line start lowering the pace. GO HARD ALL THE WAY BACK. You will see that most don’t do this. Battle till the end don’t give up on the play or loose pucks. Make a great first impression. Be first in line, hit the net, make good hard crisp passes, stop in front of net for rebounds. Be a honey badger! Be dressed and ready and out on the ice first or one of the firsts. Block a shot, dive for a puck, go the extra mile, coaches love those who would go through the wall for the team. Be Vocal: Talk to the coaches before tryouts/talk to teammates, BE LOUD on the ice, CALL OUT FOR THE PUCK TELL YOUR LINEMATE YOU ARE OPEN. It shows you are into it and you are a leader. Don’t be shy at try outs. Be a great teammate – praise your teammates after a shift. Give them a tap. If you fall down or make a mistake get up and keep going like nothing happened. Nobody likes a sulker. And guess what if you fall down because you are going hard, that is admirable. Don’t worry that is not considered a mistake. 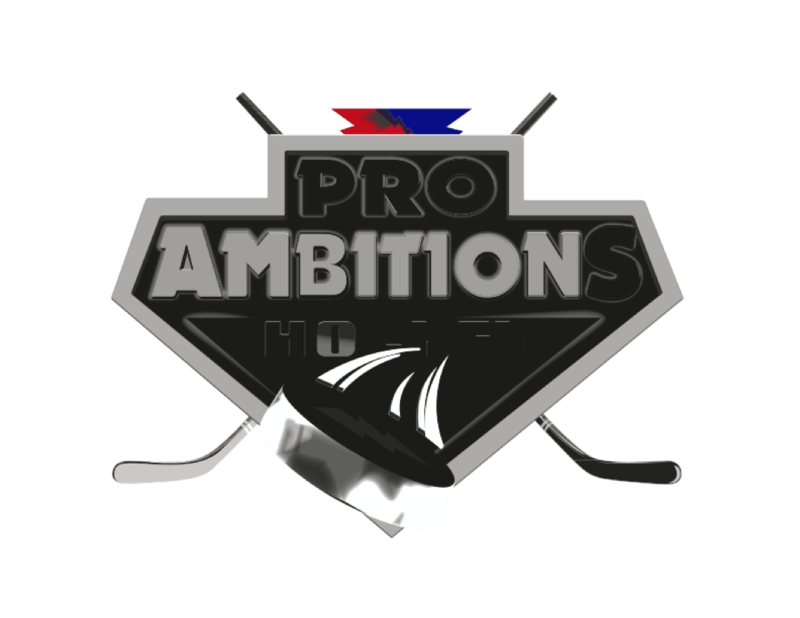 Pro Ambitions is hired for many Try-Outs. We know the grading rubric. The things I have told you to do, you will be graded usually on a scale of 1-4. Do these things to get higher scores. All of the little things right before and during try outs, they add up to big results. It is called DUE DILIGENCE. Don’t cram for the test, or try outs. Plan you work and work you plan. Start Today. Think about this plan with your parents and execute it. Body Language. Stand up straight. Stand strong. Knees bent and bare down on the puck accordingly. Bar down when you shoot. Have great posture. Pay attention. Don’t talk to kids in line. Be ready. Wear a color or uniform that is put together. Look the part. Take pride in your appearance. “Believe in yourself. If you don’t nobody else will. If I did it, believe me so can you.